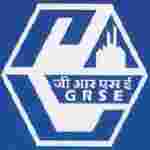 GRSE recruitment 2017 notification has been released on official website www.grse.nic.in for the recruitment of total 261 (two hundred and sixty one) jobs out of which 186 (one hundred and eighty six) vacancies for Trade Apprentices, 38 (thirty eight) for Graduate Apprentices & 37 (thirty seven) for Technician Apprentices vacancies. Job seekers should apply from 07th December 2017 and before 27th December 2017. Educational Qualification: Applicant should have passed Class 10th standard / Madhyamik or equivalent examination from recognized Central / State Board OR Applicant should have passed All India Trade Test (AITT) for Craftsmen Training Scheme and possess a National Trade Certificate (NTC) issued by National Council for Vocational Training (NCVT), Govt. of India in the respective feeder trade for S.no-1. Degree in Engineering or Technology granted by a Statutory University or by an Institution empowered to grant such degree by an Act of parliament in the respective subject fields for S.no – 2. Diploma in Engineering or Technology granted by a State Council or Board of Technical Education established by a State Government / by University in the respective subject fields for S.no – 3. Age Limit: The age of candidate should be between 14 to 25 years for Trade Apprentices (Ex-ITI), 14 to 20 years for Trade Apprentices (Fresher), 14 to 26 years for Graduate & Technician Apprentices as on 01.01.2018. Interested and eligible aspirants should apply online through the website www.grse.nic.in from 07.12.2017 to 27.12.2017.